Goa Electricity Department has partnered with TJSB Sahakari Bank for Bharat Bill Pay which will significantly increase accessibility of consumers to the biller on various channels. This Service was inaugurated by Nilesh Cabral, Minister, Power in the presence of Mrs Nila Mohanan Secretary, Power, Mrs Reshma Mathew (Chief Electrical Engineer), Shri. A. R. Ramesh (Chief Project Officer – NPCI), Shri. C. Nandgopal Menon (Chairman – TJSB Sahakari Bank Ltd), Shri. Vivek Manohar Patki (Vice-Chairman – TJSB Sahakari Bank Ltd), Shri Vidyadhar Achyut Vaishampayan (Director – TJSB Sahakari Bank Ltd & NAFCUB). This function was also attended by the Senior Officials from the Government of Goa Electricity Department, National Payment Corporation of India (NPCI), TJSB Sahakari Bank Ltd, Co-operative Banks & Credit Societies in the Goa State. Shri Sunil P. Sathe, Managing Director and CEO, TJSB Sahakari Bank said, “We are committed to the Citizens of Goa & happy to deepen our relationship with Goa Electricity Department and increase the accessibility of the consumers to the billers. Going forward TJSB Sahakari Bank aims to on-board other billers like Water Tax Bill Payment of Goa State on Bharat BillPay ecosystem. 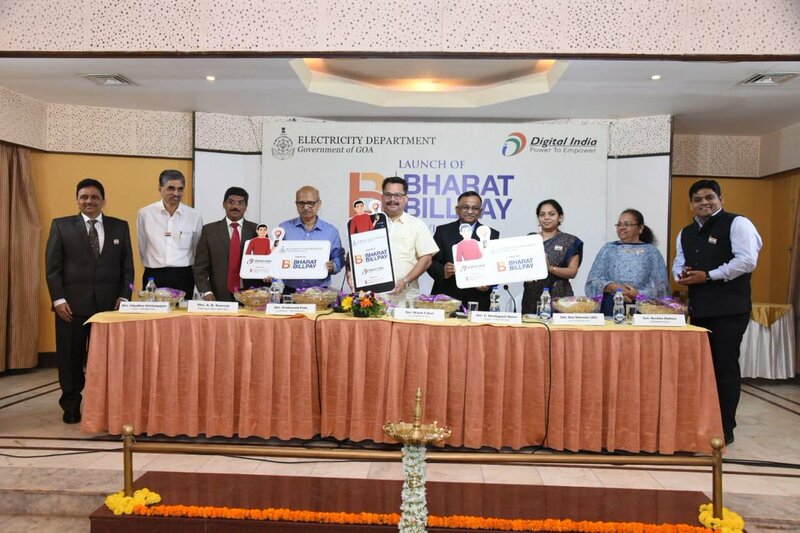 Also, Goa Electricity Department is one of the new billers that has been on-boarded for the first time on an interoperable bill payment ecosystem through TJSB Sahakari Bank Ltd. With Bharat BillPay, Goa Electricity Department strives to make consumer’s life easier by providing a one stop destination for all their Electricity Bill Payments. With a firm focus on Customer Service, department has decided to launch Bharat Bill Pay Services which will facilitate consumers of Goa Electricity Department to pay Electricity Bills Instant – Secure, Anytime – Anywhere. With Bharat Bill Pay consumers will be able pay their Electricity Bills across Multiple Bill Collection Center’s across Goa State. Now, the Bills can be paid through the Bank Branches, Mobile Banking, Online Portal, Internet Banking, BHIM & Any Digital Payment App, Co-operative Banks & Co-operative Credit Societies in States, Business Correspondents and Authorized Agent Collection Centers. The Bills can be paid via payment modes like Cash, Transfer, IMPS, UPI, Cards (Credit/Debit/Prepaid). The main features of the Bharat Bill Payment system are Instant Confirmation, Wider Bill Collection Network, Unified Grievance Handling, Interoperability and Cost effective. In the Inaugural function held on 26th January 2019 at Panjim, Goa the Bharat Bill Pay Services were made operational for the Citizens of Goa.